Preschool Enrollment for the fall starts in the summer and the earlier the better. Paradigm Childcare and Enrichment center is ready to enroll your preschooler in one of our high-quality programs for ages 3 and 4. However, we understand that a lot of people move in the summer and in that regard, we will accept late arrivals. Whether you live in or are looking for a preschool near you now is the time to enroll your 3 or 4-year-old for preschool this fall. 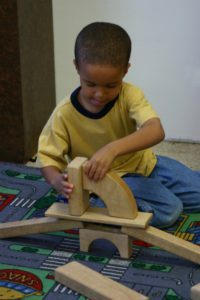 Paradigm Childcare and Enrichment offers two fantastic preschool programs for children. 3 year old preschool or 4 year old preschool programs are available. Why do we have two programs? Children aged three and four are not on the same learning spectrum. There is a very large learning growth that occurs between three and four. By splitting up the ages, we can ensure that your child is getting the best possible education perfect for their age group. Enrollment for preschoolers near our Waterford location is nearly full. So, if you need to enroll your child please contact us as soon as possible. Fall preschool programs at Paradigm are affordable, yet highly rated as one of the best in Michigan. With our edu-care philosophy, your child with not only receives excellent child care, they get lessons that will prepare them for kindergarten and into elementary school. Click here to find out more about our Edu-Care philosophy. Paradigm Childcare and Enrichment provides two convenient locations. Parents can enroll three or four year old children at our Canton preschool location, or our Waterford preschool location. Both locations serve nearby communities. Plymouth which is just north of us at our Canton location is one of them. White Lake and Commerce Township are just minutes away from our Waterford location and the families there. Thinking about preschool enrollment for upcoming fall? Check out the information for parents where you will find the most current preschool enrollment forms. Also, you can Schedule a tour of our childcare facilities in Michigan today.